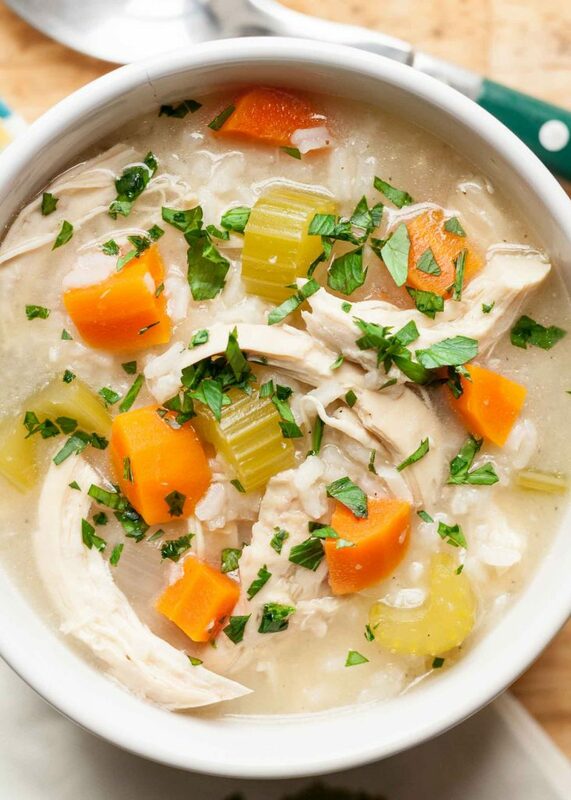 One-Pot Chicken and Rice Soup! Throw bone-in chicken, rice, and vegetables together in a pot and simmer until they’re done. It’s the easiest soup ever, ready in under an hour.